Getting to Tangalooma is easy! Located on beautiful Moreton Island off the coast of South-East Queensland, we are just 75 minutes from Brisbane by ferry. 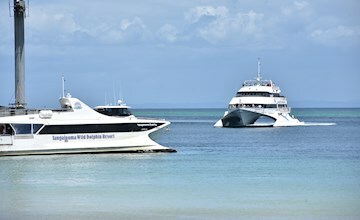 The easiest way to get to Tangalooma Island Resort is via our Passenger Ferries. 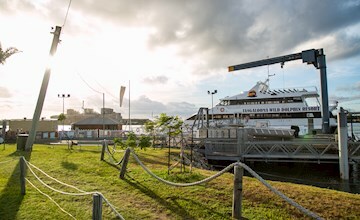 There are multiple ferries all departing from our Holt Street Wharf in Brisbane at various times throughout the day. 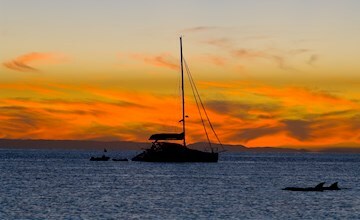 If you are looking to visit Tangalooma just for the day, you can book one of our day cruises here. You can add on your boat transfers and choose your preferred boat departure times when you book your accommodation on our website. The second step of the booking system will allow you to add boat transfers to your acommodation booking. If you have already booked your accommodation you will need to call our reservations team on 1300 652 250 to book your boat transfers over the phone. For all information on passenger ferries, Brisbane departure times, Tangalooma departure times and launch transfer prices. Tangalooma Launches and Day Cruises all depart from the Tangalooma Wharf located at 220 Holt Street, Pinkenba QLD 4008 (Brisbane Wharf). 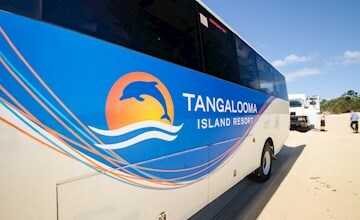 Guests on board Tangalooma Island Resort launches must comply with the Tangalooma luggage restrictions. 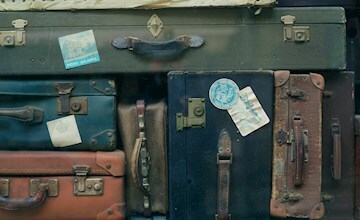 Coach Transfers, from Brisbane and Gold Coast hotels, to the Brisbane Wharf are available but must be pre-booked and prepaid prior to travel. Specific Hotel pick up times will be advised on booking. Bus transfers are provided via JPT Tour Group. Only official guests of Tangalooma are allowed to bring their personal watercraft to the resort. There are a number of boat moorings available to hire for those official guests wishing to bring their own vessel. If you're flying into Brisbane either domestically or internationally, our Holt Street Wharf is easily accessible at just 10 minutes from the Airport, and 15 minutes from the CBD. Transfers from the Brisbane Transit Centre (Roma St) and various hotels to our Holt Street Wharf can be organised with our friendly reservations team. 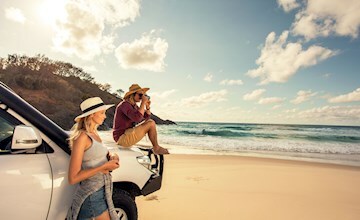 If you are not travelling to Tangalooma Island Resort by our passenger ferry or need to take your 4x4 Car there are other alternatives to access Tangalooma Island Resort.